I have a confession to make, I am a real Tap the frog fan. I never started off that way cos it was Wun how first got into it and got Q hooked on it. Evan, who is far from playing with the iPad, is also an avid spectator. Because Q kept getting me to play along with him, I also got into it. So, generally speaking, the game is simple enough for my 2.5yo to play; even if he doesn’t always gets maximum points. In fact, he almost never and has to play many many rounds to accumulate the in game coins. You get a coin for each star you earn and over the many times you play, the coins add up. Q discovered the other day that there was an in game store where you can change the color of your frog, give it clothes and a background. 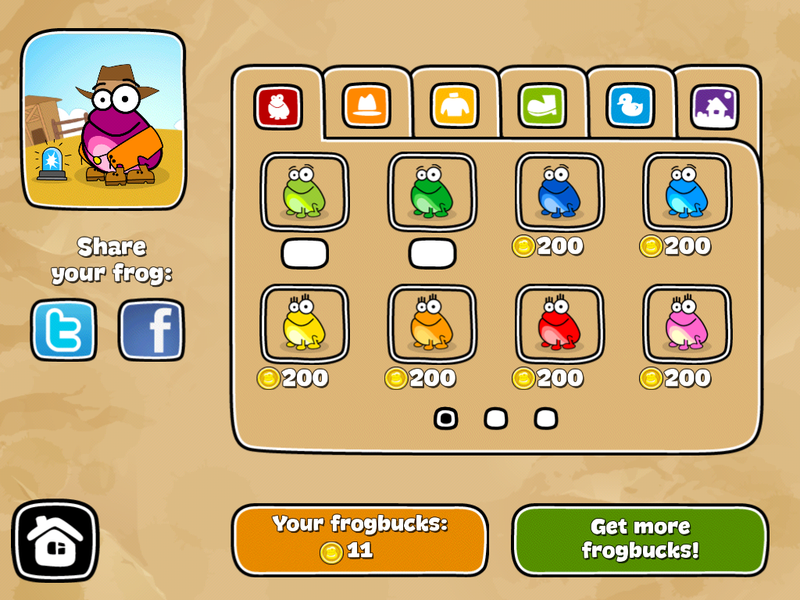 And each add on costs frog bucks (the coins you accumulate) they take out of your bank. And while you have the cheater bug option of buying more frog bucks, we think its an utter waste of money, so we make Q earn his frog bucks the old fashion way. Mind you, since we each have the game on our iPad, we each keep our own frog bank. Over the course of two weeks (seeing as he only gets to play tap the frog for about 5-10 minutes in the evening) our littler fella has earned enough points to dress his frog. Unsurprisingly, he kinda went a little crazy at the store and bought many things for his now police siren toting, cowboy hat wearing, farm living purple frog. He discovered soon enough that he ran out of money and lamented when I told him he had to earn more frog bucks to redesign his frog and in his 2.5yo wisdom, he lamented: Earning frog money is so hard! It takes so long! Such is life my son, such is life. 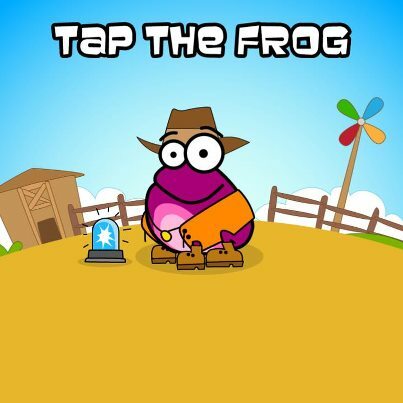 This entry was posted in animals, app review, games, generation now, learning, money lessons, online resource, Review, technology and tagged app, frog, game, in store, ipad, iPad app, learning, lessons, money, tap the frog by matchingsocks. Bookmark the permalink.